I’ve decided to do a round up of my favourite collections. Although I couldn’t afford the ticket price (who can?) 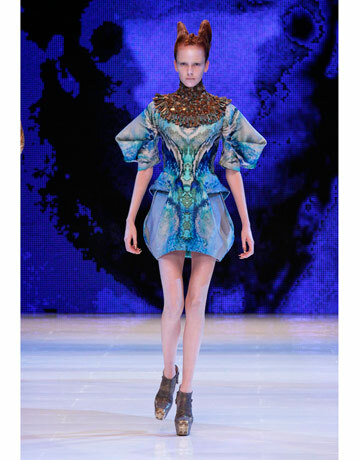 Ive been able to enjoy the highlights of fashion week from my very own computer thanks to London Fashion Weeks website. This week sees the start of London Fashion Week (or London Fashion Week brought to you by Canon, to use it’s full name) and I personally cann ot wait.I’m particulary looking forward to seeing 60’s inspired brand PPQ, Sienna Millers brand Twenty8Twelve,Burberry Prorsum as well as the usual wacky designs from design students at Central St. Martins. 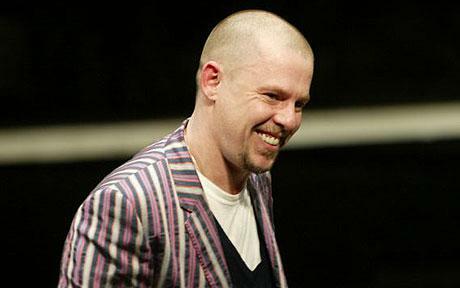 However this years Fashion Week will have one noticeable absentee- British designer Alexander McQueen ,who last week took his own life after failing to cope with his mother passing away.McQueen was a truly inspirational designer, having won British Designer of the year an unprecedented 4 times.His death will no doubt cast a sombre mood over the week,where he was due to show his latest collection.On the day of his death, he was due to show at New York Fashion week.Since then,share reports have shown interest in Alexander McQueen clothes has skyrocketed and stores have been mobbed.Talk of an Alexander McQueen award has also been discussed at his former school. Central St Martins. See the full list of what’s to come at LFW here and check back here throughout the week to see all the gossip!